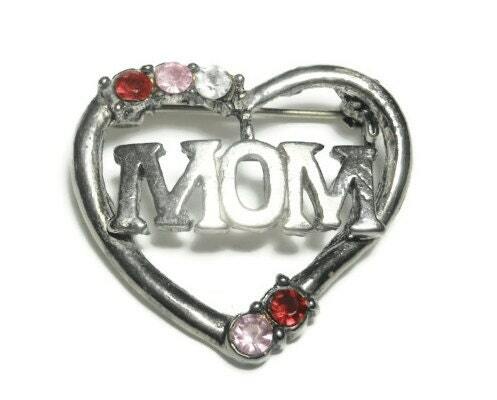 Mom heart brooch - Silver plate with red, pink and clear rhinestones . Show her you love her on a normal day, one where you weren't told you had to! 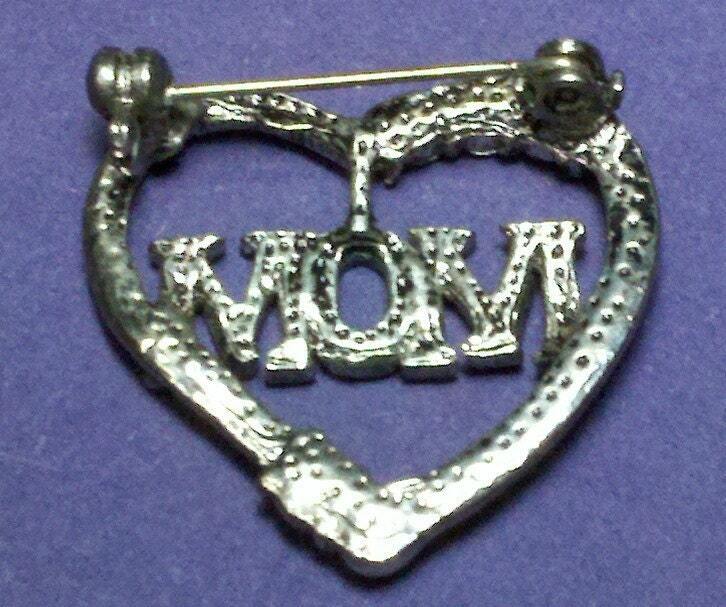 An understated pin at 1" x 1". Some small gashes to surface probably from manufacture.